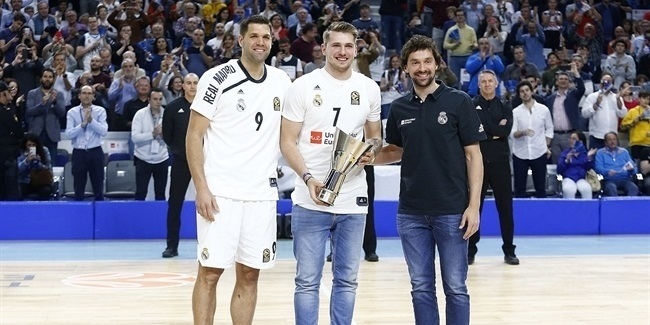 A rematch of last season's Turkish Airlines Euroleague final will not be settled by Real Madrid and Olympiacos Piraeus in one game, but rather a best-of-five series. Olympiacos looks for its fifth Final Four appearance in six years in pursuit of a truly historical three-peat, something that only ASK Riga (1958-60) and Split (1989-91) did in the past. 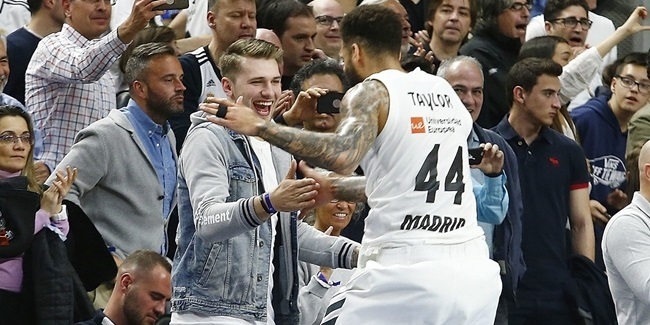 Madrid, the winningest team in the competition with eight continental titles, is aiming for a third Final Four appearance in four seasons - and for its first Euroleague title since 1995. As always, Olympiacos will rely on reigning Euroleague MVP Vassilis Spanoulis and its great team spirit to make things happen despite a home-court disadvantage in the series. 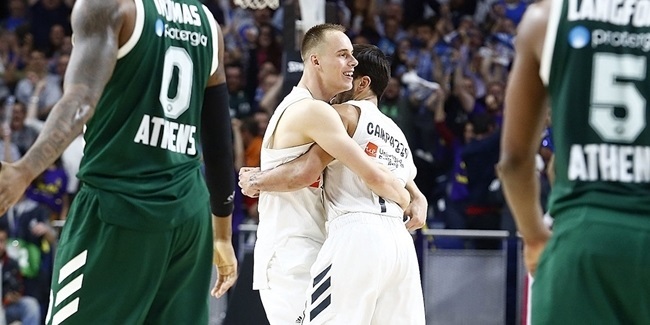 Madrid looks stronger than last season, especially at center, as former Olympiacos big man Ioannis Bourousis and Salah Mejri have strengthened the team's defense and helped it make the most out of a high-scoring and fun-to-watch playing style. Indeed, controlling the game tempo will be critical for Olympiacos, so expect the Reds to concentrate on stopping Madrid's creative trio of Sergio Rodriguez, Rudy Fernandez and Sergio Llull. Madrid is undefeated at home in all competitions this season, but Olympiacos is on a four-game winning streak - the Euroleague's longest at the moment - and still the champion until someone else can take the trophy away.